Spain in the medieval era after the Protestant Reformation began a steady decline. A few of the factors that contributed to that decline included the Reformation, the Spanish relying on gold from the New World, and Spain’s aggressive military policies in the Netherlands and England as they tried to crush their Protestant foes. 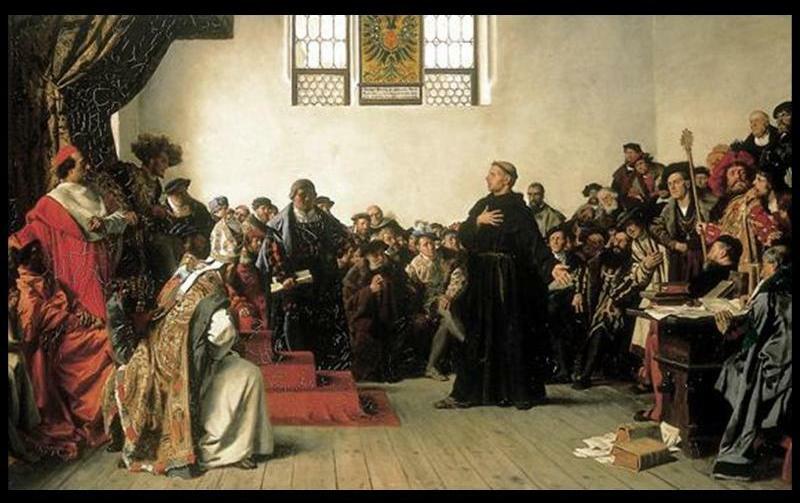 The Protestant Reformation brought forth the seeds of spiritual freedom, but it also laid the foundation is men’s mind for physical freedom. These principles brought about a steady decline in the power of sovereigns across Europe, as well as giving birth to the Protestant rival of Spain, which was England. 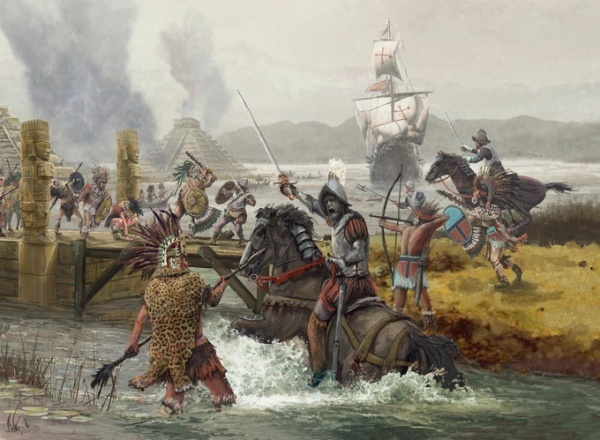 The Spanish exploration of the New World brought about a discovery of a large amount of gold and other resources, as well as the technologically inferior Indian tribes, who were easily put into slavery by the greedy Spaniards. These resources were shipped back across the Atlantic, producing a massive, but very artificial, boost in the economy. Once England cut off the supply of gold, or the gold mines that remained in Spanish hands ran low, the economic bubble collapsed. Spain tried repeatedly to bring England to heel, as fought for many years to keep the Low Countries in its power. As thousands of troops were sent to die facing the Protestant armies, Spain’s resources were drained even more. 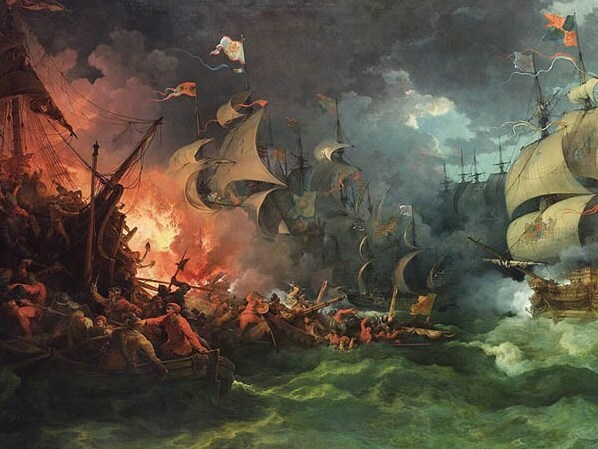 The Spanish Armada, one of the greatest naval failures of all time, put a relative stop to some of Spanish military conquest, though they continued to fight tooth and nail in the New World, though were eventually defeated by privateers like Captain Drake. Unable to maintain a real economy, plagued by real plagues and civil unrest, and beaten everywhere by freer nations, Spain lost its status as the greatest European nation. Maybe if it allows greater freedom, it could again rise among nations like it once did. During the existence of the ancient city state of Athens, playwrights would write plays concerning the Greek religion and culture. One of those plays, called Works and Days, talked about ethical cause and effect. The poets message; the gods reward those who do good, and punish those who do wrong, but they do not do this on a consistent basis. For instance, a man could of stolen something, but then sacrifice to the gods and clear his case. Thus, the gods are inconsistent, and cannot be trusted. For example, the story of Pandora. Prometheus, an Olympian god, is favorable to men. Man is suffering in the cold, unable to make tools or better themselves beyond rough implements made of wood or stone. Prometheus decides to benefit them by first teaching them to offer sacrifices to the gods. However, man doesn’t have animals to sacrifice, so he tries to decieve Zeus into accepting a meatless sacrifice. Zeus isn’t fooled, and punishes Prometheus. No problem here. Then, Prometheus decides to sneak in a reed a little of the sacred fire that burned on a sacred hearth in Olympus, and gives it to men. Suddenly, man is no longer suffering, and can make advanced tools and weapons and better their knowledge of the world. Zeus punishes Prometheus again by chaining him to a rock and having his liver eaten out by eagles every day. For man, he gives a special punishment. 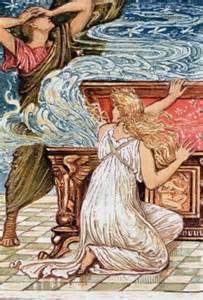 Even though they didn’t do anything wrong, he orders his fellow gods to create a woman, named Pandora, and gives her rich clothing and ornaments, and gives her as a pretended gift to a leader of men. This man takes her, and with her came old age, and all the other ills that plague mankind. Man didn’t deserve this treatment; it was Prometheus, and Prometheus alone who “sinned” against Zeus. The inconsistency of the gods in Works and Days is reversed somewhat in The Eumenides. The Furies, underground goddesses of revenge, are consistent. 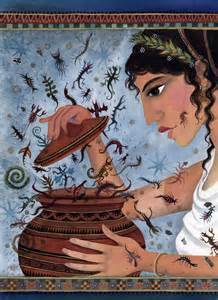 They revenge murders, especially family murder, and the Greeks lived in absolute surety of these Furies pursuing them to their deaths if they committed a serious infraction. However, the gods of Olympus are still inconsistent. For instance, for Athena to be favorable in Odeseus’s cause, the Greeks give Athena land around defeated Troy. So, she can be bribed, and she is one of the final Olympian gods of justice. So, in Works and Days as well as The Eumenides, we see the same themes. Though the Furies are consistent in punishing murderers until Athena pursuades them overwise, the Olympian gods are untrustworthy and are not consistent in terms of justice, and will punish those undeserving if they are unhappy that another god gave them blessings. John Locke was a political thinker in the 16th Century, and is credited with the idea of the Social Contract theory, as well as very many classical liberal ideas. In his writings, he talks about a “state of nature”, where people have rights, and everything is owned in common until someone “mixes their labor” with the land around them. What kind of rights did Locke believe a person had in the state of nature? Well, he thought that a person has the ultimate right to themselves, and that nobody else has a remote claim on your body. Thus, your life and liberty are also inherently protected. If your body is yourself, then from that is also derived the liberty to own things; to take things from the state of nature and make it yours. For example, lets just say that there are two people who get washed up on an uninhabited island in the middle of the Atlantic. Who owns the island? Neither of them do. The island is in the “state of nature”, and is commonly owned by humanity. But, lets say that person A cuts down a tree and builds a little hut with the lumber, is that hut commonly owned by the rest of humanity? No! It is now A’s exclusive property. If person B comes and takes A’s hut, that is theft, and person A can come and enforce his right to the work of his hands; it is his exclusively. Now, of course, it isn’t always person A’s hut; if person A dies or sells the hut to someone, the property moves on. Now, Locke believed that there were “inconveniences”, or a better word would be “problems” with the state of nature. One problem involves disputes. Person A has the right to track down person B and punish him for stealing his hut. But Locke points out that these two people are obviously biased to their own views of the situation, and so Locke believes that some group, in his example government, would have to be set up to settle the dispute. 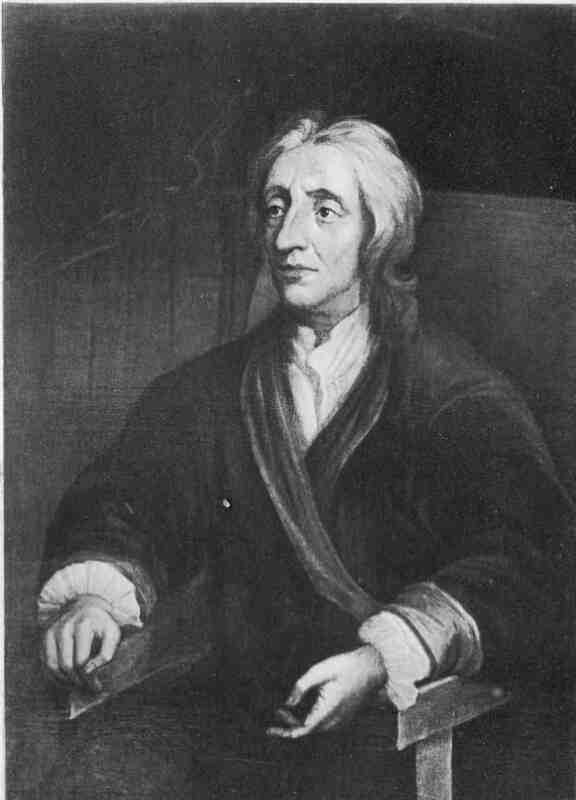 However, Locke makes the mistake of assuming that there has to be a state, a political body, to judge the disputes of society, to bring people out of the state of nature. But why can’t there be a third party that both parties can agree to be judged by? Why can’t person A and B keep their liberties while still getting their case judged? Locke doesn’t even consider this. What about absolute monarchy? Does that form of government adequately free people from the “inconveniences” of the state of nature? No, because according to Locke, if you have a dispute with the monarch, the monarch will judge in his own case. The problem is, we have this problem with every established government. If I have a dispute with the U.S. government, and I take them to court, the only place I can do so is in the U.S. court system! Do you think that the U.S. government is biased concerning their own case? Of course! So, we’re back to the state of nature. 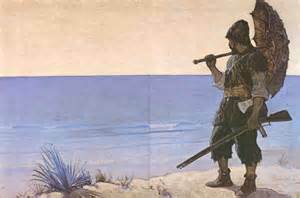 So, Locke believed that before there is government , we live in the state of nature, and that when government comes into the picture, certain problems, especially the one concerning disputes within society, are solved. Unfortunately, this, as previously mentioned, doesn’t solve the problem, and only a free society with temporary courts to settle local disputes, can give us the world Locke sought. For centuries, very possibly for all time, people have envisioned a world without problems. 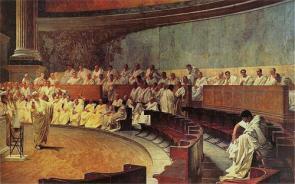 Plato’s, The Republic, was one of the first of these ideas to come down to modern times in print. In this classic book, Plato envisions a world where the State raises the societies children, and plans what their roles in society will be. He also proposes that this city State would be the ultimate source of legal justice in the society. Other thinkers, primarily around the 16th Century, such as Thomas Moore, believed in a communistic societies with people bound to a central organization like Plato’s city State, and that this State would be totalitarian in dictating who uses what and how. Moore’s Utopian belief takes for granted that individuals in the society would, though not necessarily Christians, follow the dictates of the Ten Commandments (thou shalt not steal, kill, etc). He also assumes that people will work hard so that they can get more out of the sharing of the goods produced. Societies like this have already been tried and proven to not work. Under totalitarian societies, learning and innovation is stifled, while the ruling class becomes rich and prosperous at the expense of the populace who they control. As for communistic societies, countries like the Soviet Union and modern nations like Cuba and elsewhere, as well as the experimental societies carried out by the Utopian thinkers themselves, are examples enough to prove that such ideas cannot succeed. They either failed soon after their founding, like Jamestown’s early days, eventually collapsed like the Soviet Union, or are poor and helpless countries with no advancement and a constant falling behind other nations that promote private property and human rights separate from the State. 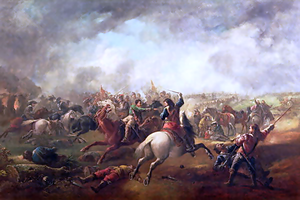 The English Civil War was started by concerns over a King Charles I. First concern was based on his absolutist tendency. He believed in the right of the King to make whatever decision he wished, and in his wars he began to tax whomsoever he chose, usurping the powers of Parliament to do so. 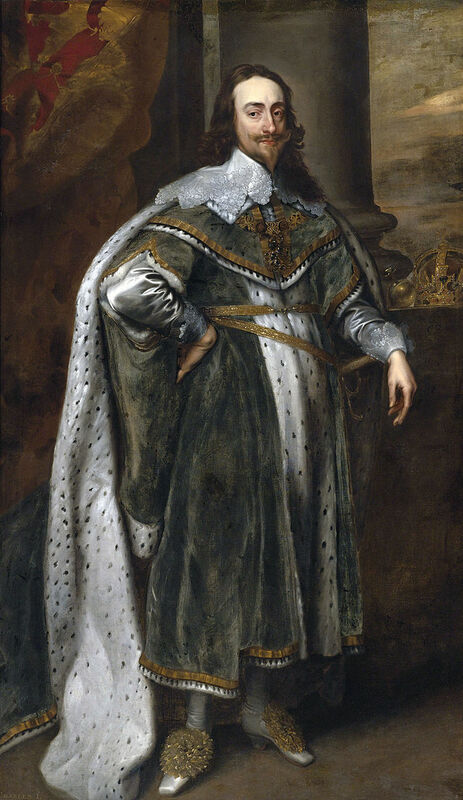 This angered Parliament and also the people, seeing that their rights and liberties were being trampled upon without even a thought of discretion by Charles I. Second concern was due to belief that he was a Catholic, seeing that he had a Catholic wife and that he resisted the Puritan’s wishes to reform the Anglican Church. Though not himself Catholic, his marriage to the French Princess raised a good deal of concern amongst his Protestant subjects, who feared another return to Catholicism. The two sides in this war turned out to be the Levelers and the Roundheads; the Levelers supporting Parliament in their fight against Charles I, and the Roundheads supported Charles. The Levelers were eventually able to defeat Charles I at the Battle of Preston. After arresting Charles, they beheaded him for his usurpation of power, shocking the world by their boldness in restoring freedom to England. And that, is the (very) rough overview of the English Civil War.